A unique way to become an expert photographer! It’s all too easy to spend thousands of pounds on photography equipment without developing the necessary skills to make the most of your investment. 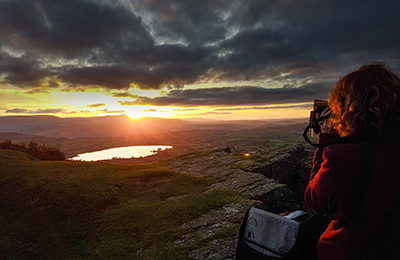 This Mentoring Programme allows you to develop an in depth understanding of the capabilities of your camera and learn the skills to make the most of your creative potential. It can also give you the knowledge to generate an income from photography, or even pursue it as a career. You have a choice of the Full One Year Package or the 6 Month Package – both are detailed below. Whatever your incentive, you’ll have access to Nigel’s knowledge and experience for a whole year while you develop your photography. The programme is totally flexible and we’re able to adapt the range of benefits as you wish according to your priorities, and schedule of work that we agree in advance of commencing the course. We’ll work on an outline programme at the outset which is based on a Questionnaire according to your priorities and then agreed with you (which is bound to change!) and continue to monitor it as your time with us progresses. If you have training priorities (such as a studio / portrait photography session) we work with other specialist photographers who can assist with this as an inclusive part of the course. In short – it is as much as you want it to be! It is a unique way to develop your photography skills however you want. You may be considering a career in photography and want to know how to go about it? 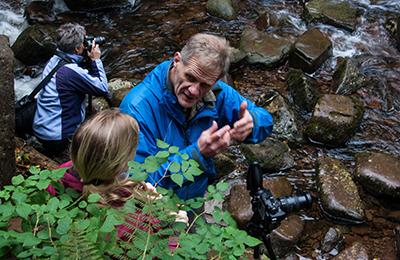 The Mentoring Programme can offer both photography training and Business Development skills. You may be an enthusiast wanting to become the best photographer you can be? In which case the programme can allow you to develop the technical, creative and processing skills to fulfil your potential. Your priority might be to explore with your camera and go to some great locations. If so the programme is flexible enough to increase the number of days on location and reduce any benefits of less interest to you. THERE IS NO BOOKING OPTION FOR THE LONG TERM MENTORING PROGRAMME ON THIS SITE. We do not expect you to book this option without consideration of whether it is for you and whether you wish to make the investment. It is not cheap and your development priorities may be too different from what we can offer; therefore we’d ask anyone considering a Mentoring Programme to discuss this in detail with Nigel before deciding whether to go ahead or not. After further discussion you may decide that a shorter 1-2 Day personalised course is sufficient for your needs. 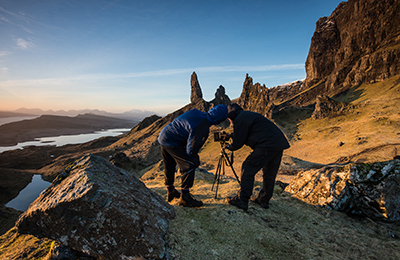 Alternatively you may decide that a concentrated year long training programme more than justifies the investment and will give you just the direction, breadth of training and personal development in photography that you’re looking for. What’s included in the Full One Year Package? Up to 10 Days Individual Tuition over the period of a year; either agreed in advance or developed as the programme develops. Coffee, tea and light refreshments. Access to 1 Day training with specialist partner photographers. The cost for the Full One Year Package is £2,495 (no VAT to add!). So, a sizeable investment but about the average cost of a 2 week long haul holiday! The 6 month option is priced at £1,395. Reduced time but access to all the flexibility of the full course. In some circumstances we are happy for two people to book together on the Mentoring Programme; you have the benefit of sharing your ideas and experiences with a partner, relation, friend or colleague while still getting plenty of personal attention. This is only suitable however if your overall aims are similar. The cost of a 2nd person adds 40% to the fee (i.e. the totals are £3493 (Full Year) and £1,953 6 Months) respectively. We’re happy to discuss this in detail with both of you!